Hattiesburg, MS Pain Management. Diagnosis and Treatment of Chronic Pain and Pain Management. Hattiesburg, Mississippi. Welcome to Advanced Pain Therapy, PLLC. Advanced Pain Therapy, located in Hattiesburg, Mississippi provides comprehensive pain care services to patients throughout south Mississippi. The physicians and staff are truly “dedicated to relieving pain” and are committed to improving the quality of life for our patients. Dr. Todd Sitzman and Dr. Joe Kim are skilled in the diagnosis and treatment of chronic pain syndromes and understand that appropriate management often involves a long-term partnership with our patients. Effective therapies may include medications, physical therapy, behavioral modification, injection-type therapies, and surgery – including the use of implanted devices for the treatment of pain. 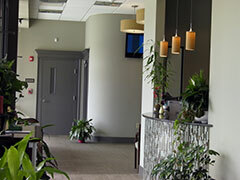 Our practice was established in 2005, and moved to our current practice location in 2010. We are proud to serve the residents of south Mississippi. Please take the time to explore our web site and become more familiar with our physicians, our nurses, and staff. It is our hope that this new web site will make it easier for us to serve you and meet your needs.